AC Milan boss Gennaro Gattuso has seen his injury crisis worsen as Hakan Calhanoglu has become the latest player to pick up a problem. The Rossoneri will be without Alessio Romagnoli, Mateo Musacchio, Lucas Biglia, Giacomo Bonaventura and Mattia Caldara for a lengthy spell as all five players have suffered injury setbacks. Given that Milan already had a lack of quality depth in those departments, it is certainly going to be a test of those still available to Gattuso to now keep the club in contention for a top four finish in Serie A ahead of the January transfer window. However, as reported by Corriere dello Sport, the injury blows are continuing to arrive, as it’s noted that Calhanoglu will return early from international duty with Turkey after sustaining a foot issue. It’s unclear if it’s the same foot that has been troubling the playmaker since the loss to Inter last month, but Milan will now fear that he could also be sidelined. It comes at a terrible time given their upcoming clash with rivals Lazio on Sunday, while they also face a crunch encounter with Olympiakos in the Europa League next month which could determine whether or not they go through to the knockout stage. 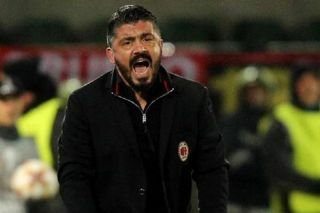 In turn, the pressure will be on Gattuso and his remaining players to show real character and resolve to dig deep and keep churning out positive results until the club hierarchy can perhaps address the problems in January. With none of the five players mentioned above expected to be back for another month at least, it will be a real challenge for Milan to ensure that they don’t slip too far off the pace in pursuit of Champions League qualification.